When Elena saw I’d finished a hat for Hugo, she wanted in on the action. Luckily, I started this Hudson hat way back in November. I had all the knitting done, all that was left was to make the tassel and weave in my ends. 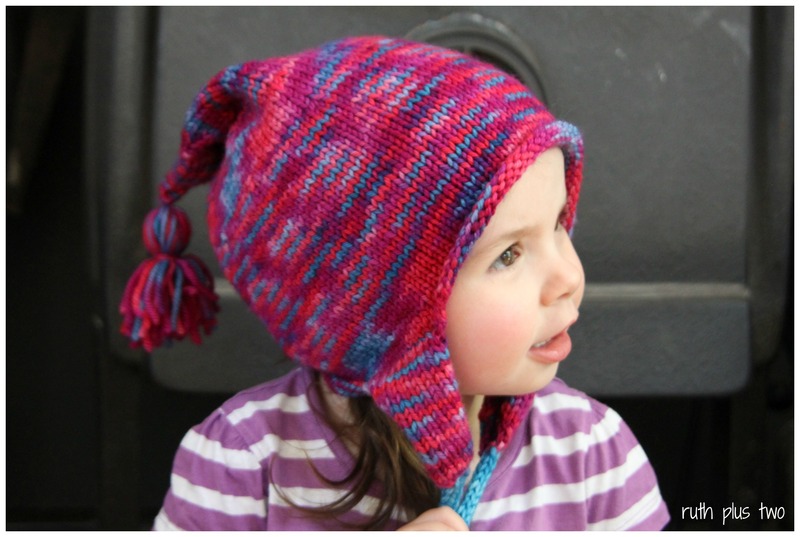 It was languishing in my knitting bag – and Elena’s pleas for her own new hat were just the motivation I needed. It’s a bit on the big side, but that fits in with my current bent – I want these things to get as much use as possible! I haven’t blocked it, and I don’t think I will. 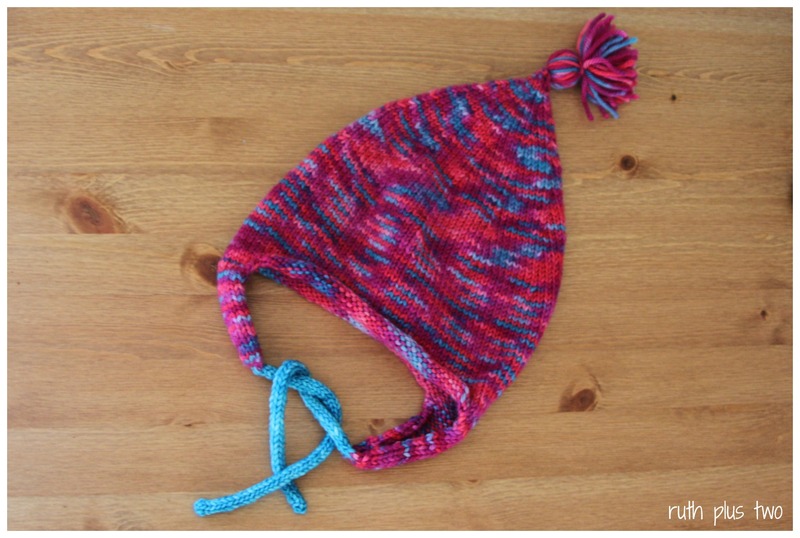 Some people add a row of single crochet or similar around the brim and earflaps to stop the rolling, but I kind of like it as it is. 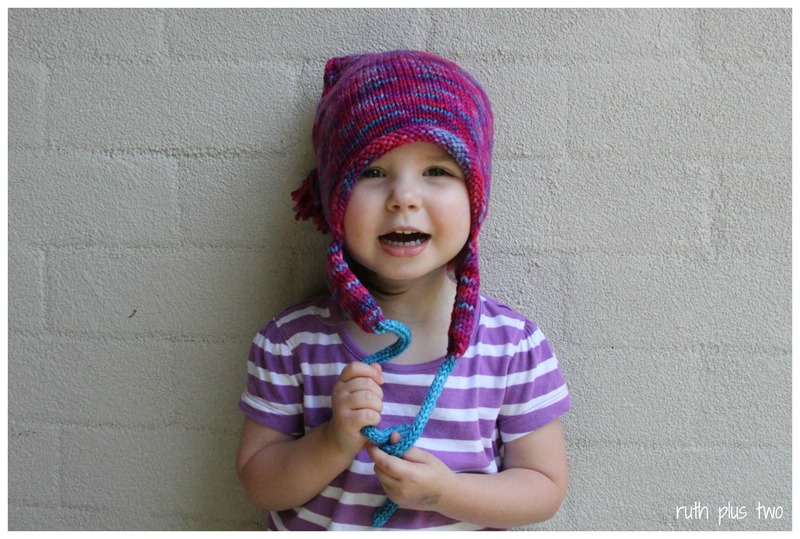 This hat, too, is knitted from Bendigo Woollen Mills Luxury 10 ply – although I hand dyed it using Ashford acid dyes. The pattern is an easy enough knit, but next time I think I’ll leave removable stitch markers in at each decrease row in order to make sure I end up with a long enough hat. 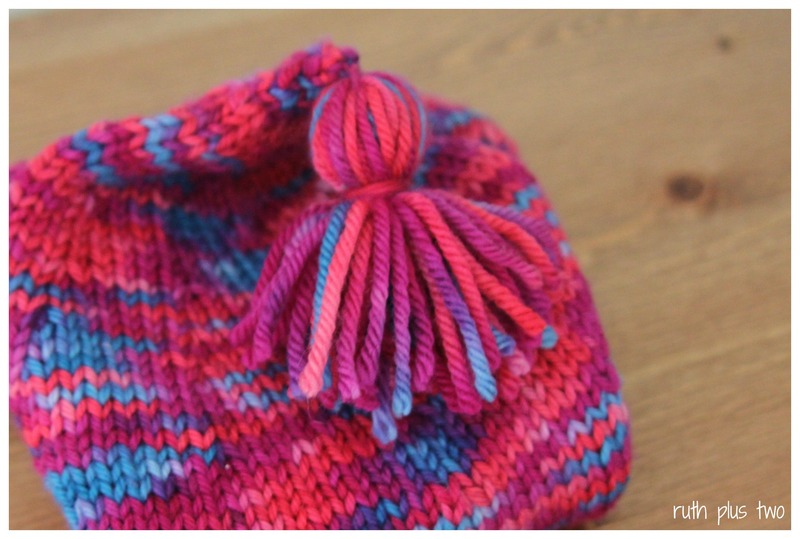 I used this tutorial (recommended in the pattern) to make the tassel. I was playing yarn chicken with this one, so it’s not quite as long as it could have been. Just as well Elena’s not as picky as her mother, huh? I didn’t think I’d get any photos of this one in use for a while but Elena’s home sick today and was quite happy to model it for me. She’s a sweet one. It won’t be properly cold for a month or two, but at least we’ll be ready when our first frost rolls around. In other news, I think I’ve finally sorted out our chicken situation. Again. Who knew finding ourselves some suitable girls would turn into such a saga? I had had my heart set on getting some Australorp or Australorp crosses but there just aren’t any around at or around point of lay – and I looked as far as Sydney! So, I’ve had to abandon that idea. I’ve arranged to pick up 3 Rhode Island Red x New Hampshire girls on Saturday. They should have a lot of the characteristics I was attracted to in Australorps – good layers for a long period of time (ie: don’t lay themselves to death over two or three years), quiet temperament and tolerant of climate extremes. Fingers crossed this lot works out! This entry was posted in Bendigo Woollen Mills, chickens, clothes for children, hand dyeing, knitting, stash, yarn. Bookmark the permalink. Wow – that is so cute. Amazing how similar your kids look in beanies! Good luck with the chickens – hope they work out really well for you. Thanks Bron 🙂 You’ll have to bring the boys around when we’ve got them settled.